Comprehensive Asset & Liability Management - C.A.L.M. Are you tired of being the target of your local personal injury or malpractice (Plaintiff’s) attorney? Do you worry that tomorrow might bring a lawsuit that can wipe out your wealth and destroy your family’s financial future? 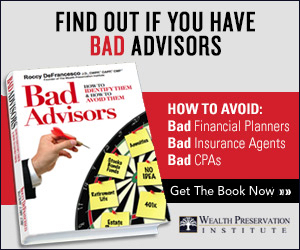 Do you feel helpless due your lack of knowledge and a lack of coordination among the advisors whose advice you are relying on to protect your financial future? Do you really believe your current Attorney, CPA/Accountant, Financial Planner and other advisors have put in place for you a proper asset protection plan (chances are you have NO asset protection plan). If you are someone with more than a $250,000 net worth, you need asset protection. If you are a physician or other professional, are you practicing without malpractice insurance (“bare”) or thinking of going without malpractice insurance due to the high cost? Are you ready to take control of your financial future? If so, you are ready for a C.A.L.M. Asset Protection Legal Plan. C.A.L.M. is a “comprehensive” approach to protecting a client’s business and personal assets from creditors while reducing the cost of professional liability (malpractice) and other negligence claims. C.A.L.M. has five levels which can be utilized to help you protect your assets from creditors. C.A.L.M., through unique technology, coordinates a client’s defense attorney, asset protection attorney, healthcare attorney, conflict management attorney and other attorneys, accountants and advisors and helps them work together, better, to resolve claims as quickly as possible and at the lowest possible cost. C.A.L.M. provides access to attorneys, accountants and financial planners who are Certified Wealth Preservation Planners (CWPP™) and CALM-certified in their state and uniquely qualified to help physicians and other licensed professionals protect themselves from paying too much in taxes. Initial services cost for “Level 1” is $495. What services are provided? i) Evaluation of a client’s asset protection plan and estate plan. ii) Multi-page memo created by a Certified Wealth Preservation Planner (CWPP™) outlining the flaws of the client’s current asset protection and estate plan and making suggestions for improvement. in-person seminars (may qualify for Continuing Medical Education credit). iv) An annual review of each client’s asset protection plan. Are there any other benefits to C.A.L.M.? Discounted Legal Fees—The beauty of the C.A.L.M. Plan is that the client who buy this service can receive legal discounts that will pay for the first year’s fee. -99% of the clients with wealth who are reading this are NOT asset protected. If you don’t have a domestic asset protection plan, you will need, at a minimum, a Family Limited Partnership (FLP) created in a secure jurisdiction (Level 2 Protection). The typical cost for a properly set up FLP is $3,000-$5,000. Through C.A.L.M., clients can purchase an FLP from a pre-qualified attorney for $2,500 (a savings of $500 over the typical price). In order to purchase Level 2 you must first purchase Level 1. To read more about why FLPs are used for asset protection, please go to 2nd tier: CALM Level 2 Protection. -80% or more of the clients who read this material will not have an “income” tax reductionplan or a comprehensive financial and/or estate plan. A typical comprehensive estate and financial plan review costs approximately $10,000 when put together by “certified” advisors. Through C.A.L.M., clients can receive a comprehensive review for $7,500 (Level 3 Protection which normally costs $10,000-$12,500). To read more about Level 3 Protection, please go to 2nd tier: CALM Level 3 Protection. -10% of the clients who read this material will be candidates for more complex planning (sometimes offshore planning) which typically costs $20,000 or more to setup (Level 4 Protection). C.A.L.M. will provide to those clients a 20% discount on those services. To read more about Level 4 Protection, please go to 2nd tier: CALM Level 4 Protection. CALM Level 5 is designed for clients who have a net worth of $15,000,000 or more. Such clients not only need asset protection planning, but also need “advanced” estate planning. Most client, even those with $50,000,000 or more do not really know which are the “best” attorneys in the country when it comes to advanced estate planning. Through the C.A.L.M. Plan, clients can know that their estate plan will be completed by a qualified attorney and overseen by a team of attorneys who are thought of as some of the brightest minds in the country. To read more about Level 5, please click here. If you are a professional insured with a CALM-certified malpractice insurance agency, you will have access to a coordinated team of claim and legal professionals who work together to help you protect your assets from disgruntled patients and reduce the cost of resolving your claim and protecting your license to practice medicine. Through C.A.L.M. you will be able to “cut the cost of conflict” and litigation through mediation and arbitration and receive a certified team approach to help you protect your business and personal assets. To find a “Rated” advisor in your local area who gives advice and follows the C.A.L.M. platform, please Email Us and the names of advisors in your local area will be forwarded to you.